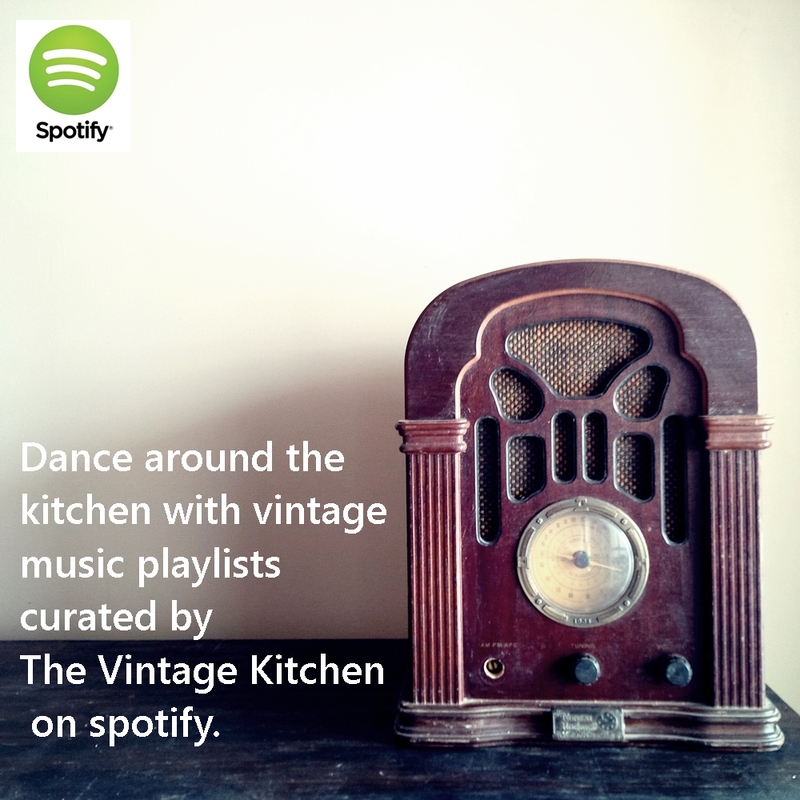 Welcome to The Vintage Kitchen! It’s the oldest room in the house, that kitchen of yours and mine. There among all the aromas of food and flowers lingers a shy, steady scent of mystery and long-ago stories. Can you smell it? If you are quiet enough you can hear it too. Those muffled whisperings… the laughter… the comfortable conversation… the clinking of dishes and glasses and silverware from the activity of all those who have come to cook in the kitchen before us. It doesn’t matter if your kitchen is two years old or 200 years old, history comes home to eat always… every day, every meal. From the food you purchase to the equipment you use to the methods you employ, centuries of stories have led to the meals you make everyday. Here in The Vintage Kitchen we are on a mission to discover those fascinating details that have laid the groundwork for what, where, why and how we cook today. Highlighting vintage culinary creativity in a variety of ways from interior design to interviews, gardening to gadgets, travel to techniques, recipes to restaurants and all those lovely china pieces in-between we discover how the past connects us to the present when it comes to the kitchen. I come from a long line of interesting kitchen stories. In the early 1900’s my great-grandmother had a doughnut shop in Seattle’s Pike Place Market. 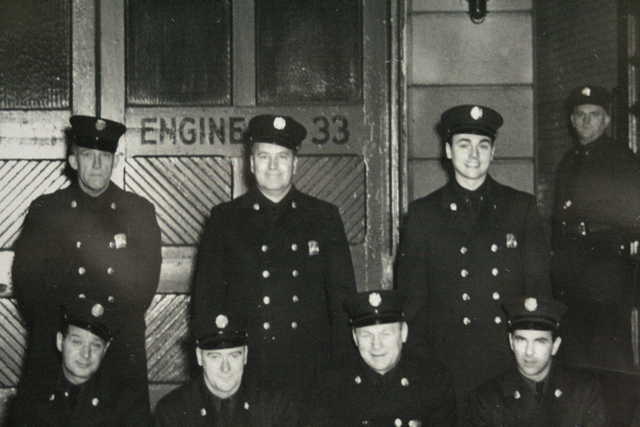 In the mid 20th century, my grandfather fought four decades of fires in Chicago while also preparing dinner for the firehouse crew each night. In the 1980’s, my American mom made authentic multiple-course home-cooked French dinners from scratch for visiting European houseguests. A decade later, my dad taught himself how to cook by religiously reading every issue of Gourmet magazine. More stories float… my cousin was a commercial king crab fisherman in Alaska for over 20 years. My husband worked in film catering when I first met him. My sister once prepared a luncheon for President Clinton. None of these people shared a professional title in the culinary world but they all shared a passion for creativity in the kitchen which inherently came to me through the veins of my family tree. That’s Grandpa Herbert in the top row (center) protecting lives (and appetites!) in the city of Chicago for over forty years. In my growing up days I was a world-traveler and a kid-connoisseur of cuisines from around the globe. I learned about history from old buildings and old bowls, from small vegetable gardens and large lengthy dinners, from food I couldn’t pronounce to places I couldn’t predict. Monte Carlo, Morocco, Lake Geneva, the Ivory Coast of Africa – those were the places where memory began. That first burst of colorful and cultural experience when I was young led me to where I am today… here with you – a lover of history, an experimenter of creativity, a forever advocate of celebrating cultural cooking and a discoverer of new (yet old) stories surrounding everyone’s favorite room in the house. I love behind-the-scenes conversations and old cookbooks. I love travel and art and eating outdoors. My most ideal dinner would involve a starry sky, lots of wine and a dinner table full of companions that stretched with abundance into the small hours of the night. With a tie of the apron strings, and a gathering of bowls and spoons, knives and cutting boards, notebooks and Noritake we are embarking on a historical adventure together through the world of kitchen curiosities. All the interesting, forgotten stories of the past come to light again here. Cheers and welcome to The Vintage Kitchen. Katherine heads the Vintage Kitchen team, but you’ll soon discover a whole cast of characters that help tell the tales surrounding the oldest room in the house. If you have any questions about a particular post send a message here and your inquiry will be shuttled off to the appropriate person for response. 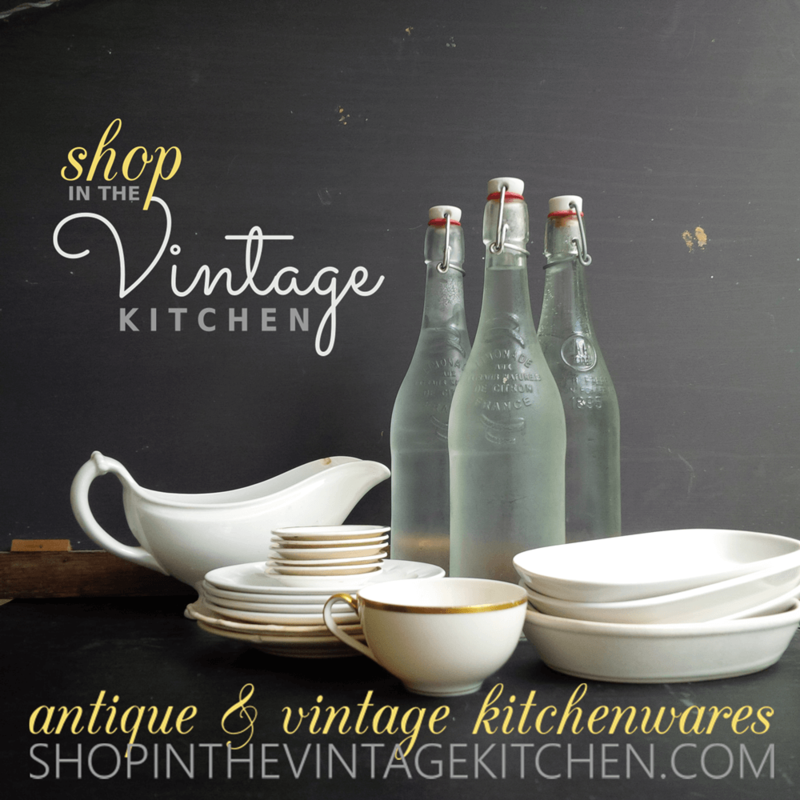 Please Note: All written content and photographic imagery contained within this blog are all original productions of The Vintage Kitchen unless otherwise noted. Thanks for adding my garden gate to your blog! Gardening, vintage, and history – 3 of my favorites. I’ll be sure to check back in to check on your progress and read up! I love your aesthetic and Vintage Detective is a perfect bit of nomenclature! Carry on! Oh Dorothy! How exciting for your antique photographs! I say we send this one out to our fellow blog readers. I’ll send you an email about the details! Hi Katherine. I’m Catherine. Lovely blog you have – I’ll pop past again to spend some time looking around. Oh thank you so much Catherine! It’s lovely to meet you too! Thanks for stopping in to say hello! What an interesting column! This is fascinating. I look forward to reading more of your articles. By the way, thank you for following my column. Hello Tiffany! Thank you so much. So glad we are acquainted now! I would like to invite you to join my first blogathon, “The Great Breening Blogathon:” https://pureentertainmentpreservationsociety.wordpress.com/2017/09/07/extra-the-great-breening-blogathon/. Your unique point of view would be a valuable addition. I don’t suppose you would have any resources about Joseph Breen’s favorite dishes, or Will Hays’s. I would be thrilled to know what Mary Breen served for her husband! Of course, I would love to have you participate with any topic that relates to the subject of my blogathon. We could really use your talent! Thank you so much for joining. I really appreciate it. I look forward to hearing your topic choice and reading your article. I will put you as “To Be Announced” on the roster for now. Thank you so much for your kind words and for visiting the Vintage Kitchen!